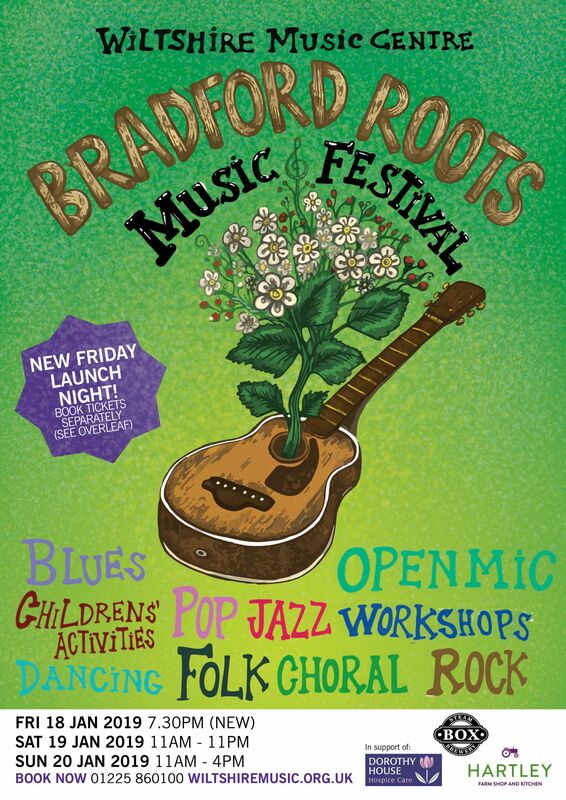 Bradford Roots Music Festival is now a staple of the Wiltshire music calendar, and synonymous with community spirit, local talent and an inclusive atmosphere. 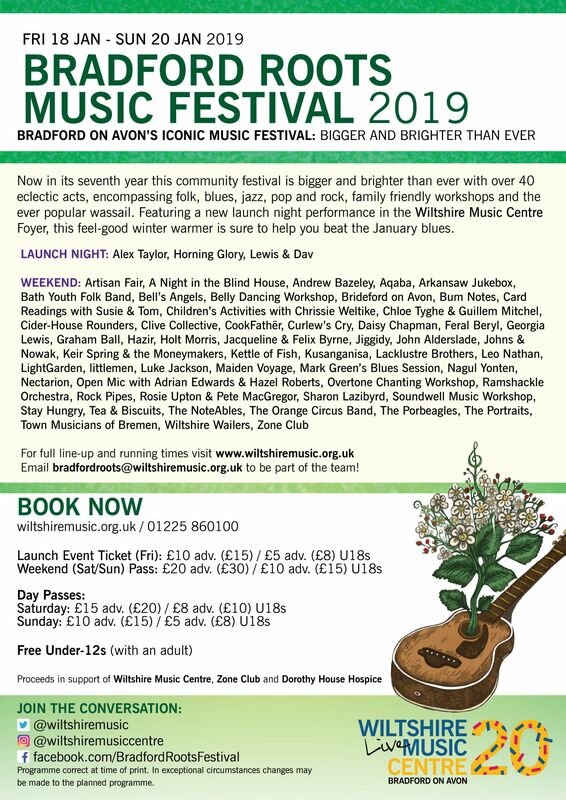 With over 40 eclectic local acts, encompassing folk, blues, jazz, pop and rock, family-friendly workshops and the ever-popular wassail, this iconic feel-good festival is the perfect winter warmer for all. Please note that advance prices expire midnight Thursday 17th January 2019. 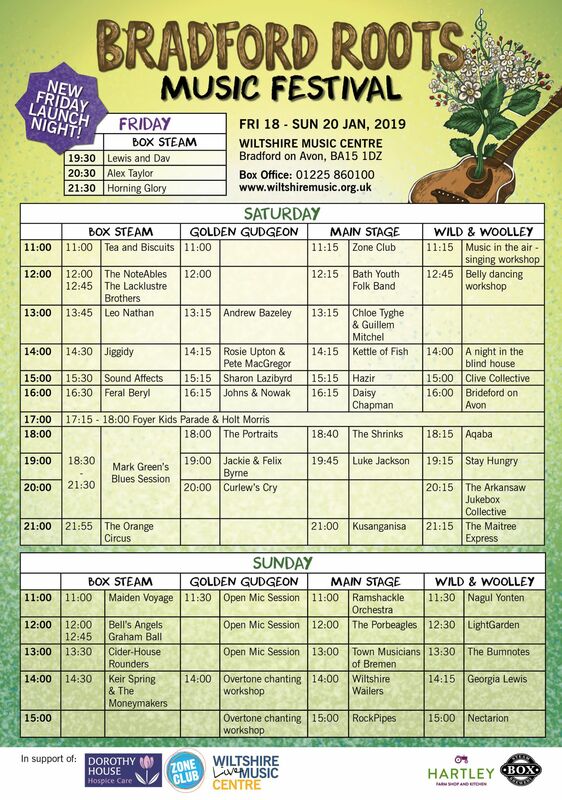 Take a look at the incredible full line-up for Bradford Roots Music Festival 2019!